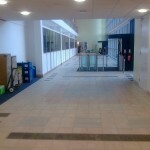 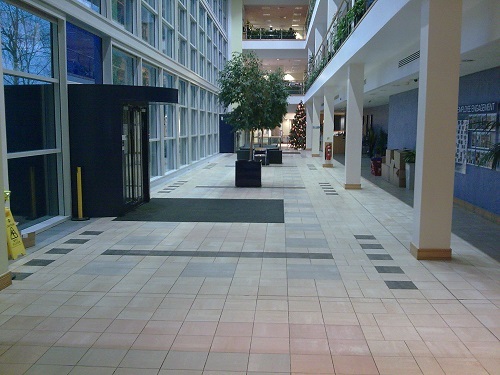 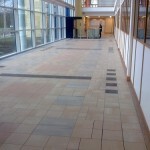 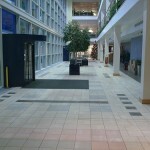 This large call centre complex in the North East (part of an international energy group) were experiencing numerous slip incidents in their tiled reception areas, and required Anti-Slip Porcelain Floor Tile. 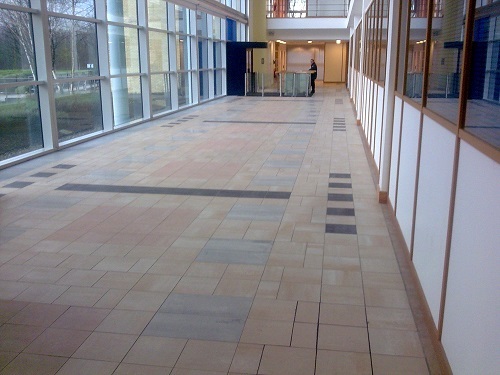 The natural Porcelain tiles had extremely poor wet slip resistance and were dangerous in wet weather for staff and visitors entering the building. 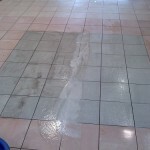 The floor tiles to the two main reception areas of the building (total 1200M2) were treated with an invisible moisture reactive anti-slip treatment. 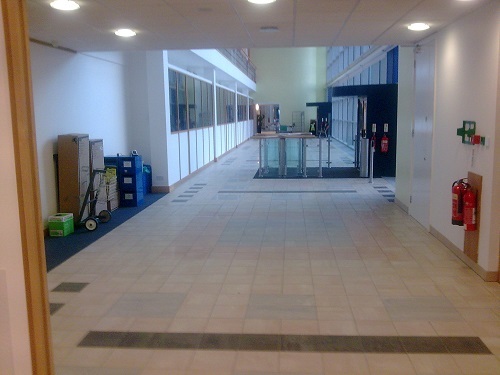 The work was undertaken over a weekend period with no disruption to staff movements in and out of the building. 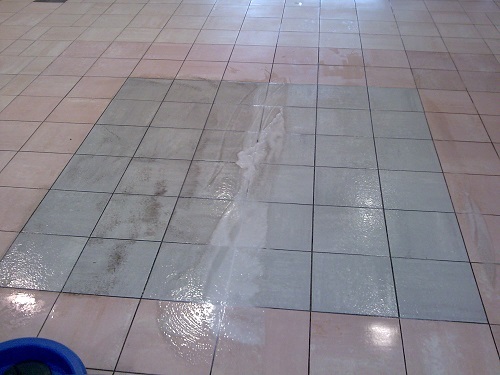 The surface appearance of the decorative natural porcelain tiles was unaffected and the wet slip resistance was increased to 38 SRV.